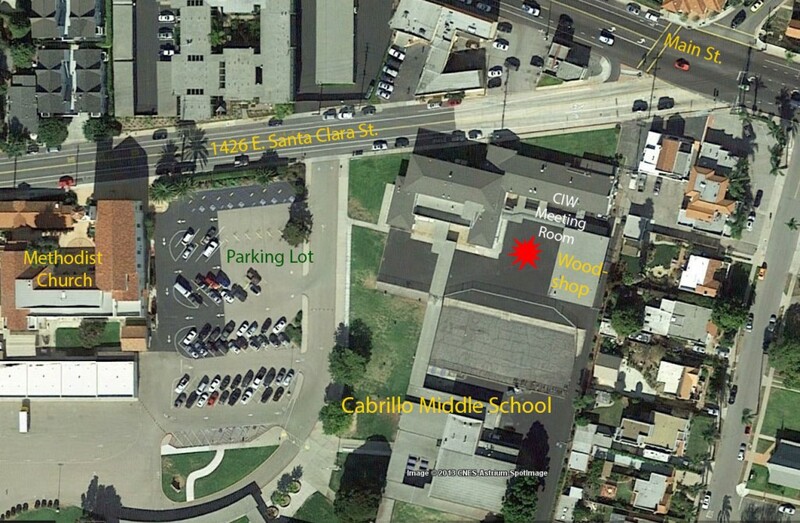 Our meetings are held in the woodshop classroom at Cabrillo Middle School in Ventura. The school address is 1426 East Santa Clara Street, Ventura, California 93001. It is located near the intersection of Santa Clara and Main Street. Please refer to the aerial campus photo below to familiarize yourself with the location of the parking lot and woodshop. You may want to bring your own folding chair. The classroom only has stools with no backs. Please see the Next Meeting or Program Schedule pages for the date and time of upcoming meetings.